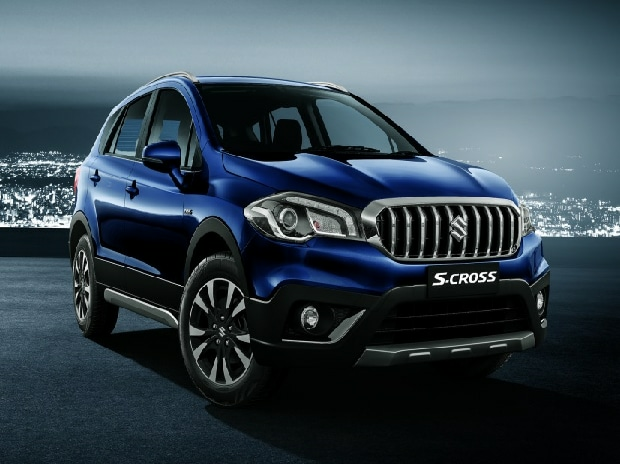 Maruti Suzuki S-Cross The country's largest carmaker Maruti Suzuki India (MSI) is looking to bolster its position in the premium crossover segment with the introduction of an upgraded version of S-Cross model, a senior company official said. MSI and its suppliers have invested Rs 100 crore in development of the upgraded version of the S-Cross, which will now come with a single diesel engine option of 1.3 litre with smart hybrid technology. While the company has already opened bookings for the new vehicle, the prices are expected to be announced in coming days. "We do expect the new S-Cross to add volume to our flagship product of Nexa chain. The earlier version was selling around 2,000-2,500 units a month and with the new one, we expect to do more than that," Maruti Suzuki India Senior Executive Director, Marketing and Sales, R S Kalsi told PTI here. Since the vehicle was launched in August 2015, it has sold a total of over 53,000 units in the domestic market. It had exported around 4,600 units. "At that time, we had less number of Nexa outlets, but today we have 280 across India. This should also help in bringing us volume to the S-Cross," Kalsi said. He added that the company has incorporated customer feedback in bringing in changes to the vehicle, which now has new chrome grille giving it a new "bold look". With the smart hybrid technology, it has been able to bring down emissions, the company stated. The new S-Cross is the third model from the stable of the company to feature the smart hybrid technology. Other new features include LED equipped rear combination lamps, wider tyres, touchscreen infotainment system with Android auto and Apple CarPlay, among others.